is the positive involvement of parents." Regardless of whether you’ve just finished your first quarter parent conferences or they are coming up soon, keeping families informed about how their children are doing is of paramount importance to students’ success in school. I’ve written before about why I so enjoyed working with the parents of my English Language Learners and while communicating with non-native English-speaking parents of ELLs can be a challenge, it is also very rewarding. There are also many more tools available now than when I was in the classroom for keeping ELLs families apprised of how their kids are doing in school. Many of these tech tools have built-in translation capabilities, so there’s really no longer any excuse for not maintaining frequent contact with ELL families. 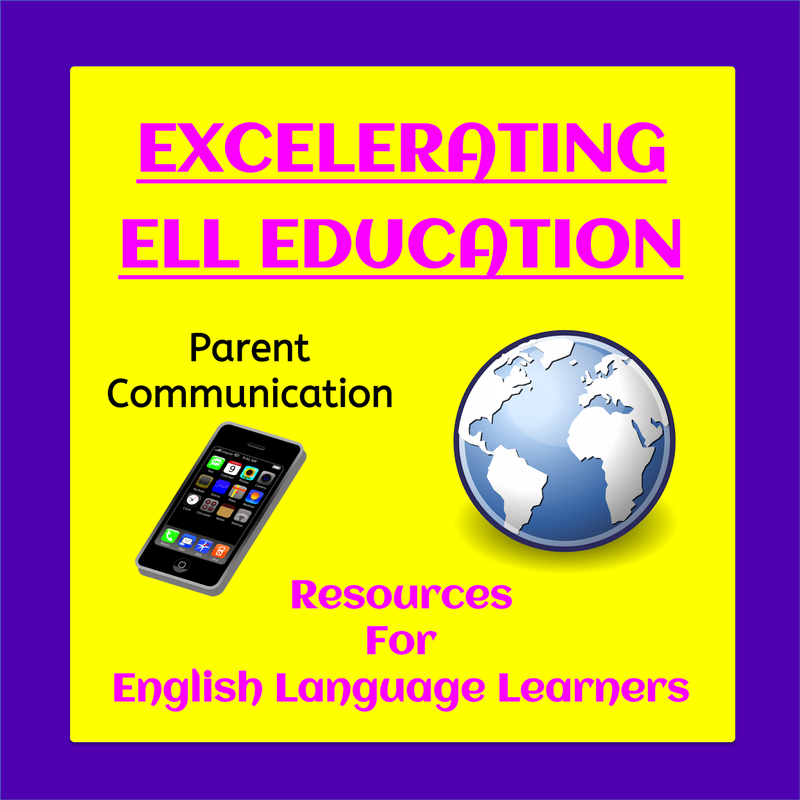 Today I’d like to offer several ways you can keep ELL parents and guardians up-to-date about your classroom activities and their children’s progress in school. Of course, you can also use all these tools with native English speakers, too! Most of these ideas were mentioned in our recent #ELLEdTech Twitter chat about tech tools for communicating with parents. For the websites/apps in the list below, I added explanations from the sites themselves (hence the quotation marks) as well as my own comments. Please note that I have not used any of these apps myself to communicate with parents, other than Google Translate and my own resource mentioned at the end, but I have heard positive things about Remind, Google Voice, and Twitter from other teachers who’ve used them for this purpose. * Bloomz "is a new, free tool designed to help teachers, parents, and PTA members share information and photos through real-time communication and coordination. Built primarily for the K-8 environment…" You can send class updates, share photos and videos, manage events, create student portfolios, and track behavior. * brightwheel (sic) is "Designed specifically to meet the needs of early education – brightwheel was built to be your all-in-one solution." It's a program that offers ways to track enrollment, payments, food consumption, and activities as well as other things that are helpful in daycare settings. It can also send messages, reports, and photos about children's activities. * FreshGrade "is an online portfolio where teachers, students and parents all interact to capture and comment on the student's school work. The program also allows teachers to create and grade custom assignments, which are then tracked in the tool." You can create digital portfolios which can then be shared with families. 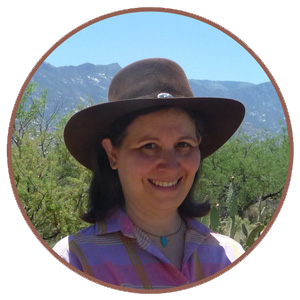 A free e-book and training are also available. 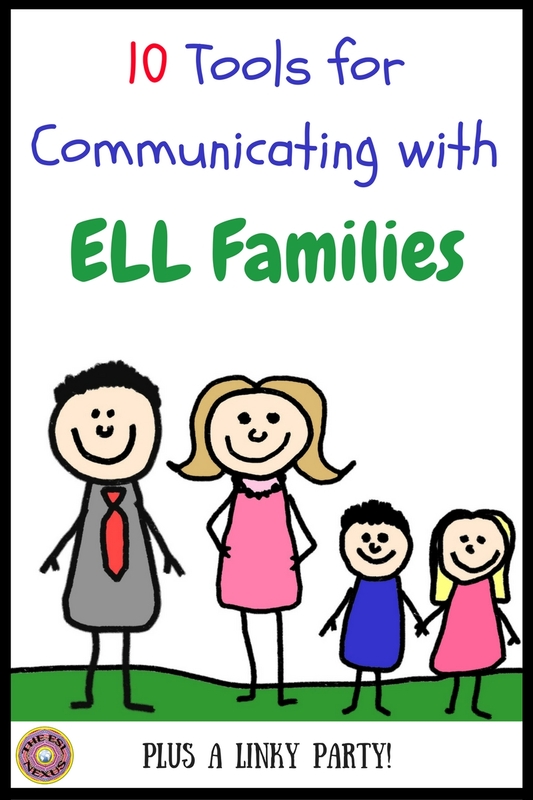 * Google Voice and Google Translate: My #ELLEdTech co-host, Laurah, wrote a blog post on how to use these two programs to communicate with the families of ELLs. There is also a very helpful infographic in her post that outlines the steps to follow. * Parent Hub is a way to "Engage parents with updates about the amazing things happening in your classroom." You create "channels" that group people, such as a class or an after-school club, into communities and then you send messages and attachments to them. Recipients can respond to you, too. It’s based in the European Union so privacy laws are different from those in the U.S.
* Remind "is a communication tool that helps teachers connect instantly with students and parents. Send quick, simple messages to any device." You can send a text and have it translated into 70 other languages; you can also schedule when you want a text to be sent. * TalkingPoints is a “multilingual texting platform easily connects teachers and families through text messages." You send a text in English, it's translated into the family's language, they text back in their language, and that gets translated into English. * Twitter: Thanks to S@FloradTeach for recommending Twitter to send messages and photos. Tweets can be sent in real time or scheduled in advance. According to Twitter, tweets can also be translated using Bing’s translation program but they may not be 100% accurate so the original tweet is also included. I’d be curious to know if anyone has used this Twitter function; please leave a comment below if you have and let us know how well it worked. * Weekly Progress Update Forms: A TpT resource with one-page forms in English and Spanish that comes in print and Google Drive versions. Teachers fill out the forms on a weekly basis and send them home. Academic progress, homework completion, attitude, participation and behavior are noted and there is space for comments. Signed forms can be saved in folders to show progress during the course of the school year. How do you stay in touch with your ELL families and keep them up-to-date on how their children are doing in school? Please share the resources you use in the link party below!